Dr. Orji Uzor Kalu, A chieftain of the All Progressives Congress, APC and former governor of Abia State, has insisted that the South East region is being marginalized. Kalu was reacting following President Buhari’s statement that his administration does not in any way marginalised South East. 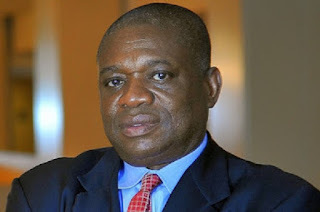 Kalu said even though he was trained in the North, he was not afraid of speaking the truth about the condition of the Igbos. He added, “I can tell you this: I was trained by the Hausa/Fulani people, but I am not afraid of speaking the truth. The South is truly marginalised and that is the truth. “Nobody say that the South-East is not marginalised. Since the end of the civil war, the treatment meted on the South- East is different, amenities given to people from the South-East is different. “If anyone says anything contrary, bring him on and I will tell him why we are marginalised. “The present government should look at its appointments; it should look at who gets what and balance it. It doesn’t sound good that you have service chiefs with non from the South-East. “No matter who is the president, vice president or Senate president and you don’t even have one Igbo holding a position, I mean a legitimate position among the service chiefs, it is not right at all.